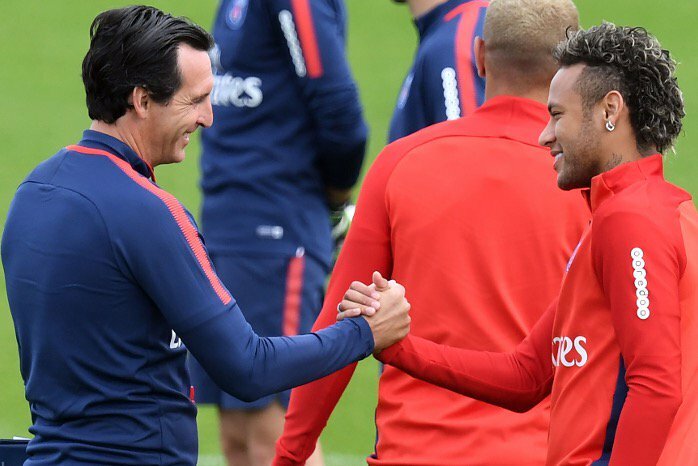 Neymar reckons Arsenal are lucky to have Unai Emery in charge. The Gunners are fifth in the Premier League and went on an extraordinary 11-game win streak in all competitions this season. And they are officially the hardest working team in the Premier League having ran more than any other side this season. Brazil superstar Neymar, 26, was signed by Emery at Paris Saint-Germain and won Ligue 1 under him last year. Speaking ahead of tonight’s friendly against Uruguay at the Emirates, he said: “Arsenal are playing really great football. Neymar reportedly fell out with Emery at PSG over the Spaniard’s obsession with video analysis, though denied the claims. The ex-Barcelona star said: “I was really happy to work with him because he’s a really hard working guy. He really wanted to coach us and really wanted to study about football. Neymar, who was given a special cap for earning 100 Brazil call-ups, will face Cameroon at MK Dons on Tuesday following tonight’s Uruguay clash. One person who can show him some of the sights in England is Everton star Richarlison, who broke into the national squad in August. Yet Neymar is hoping he can show the 21-year-old the ropes when it comes to international football. Joined by his son Davi Lucca at his press conference, he said: “He has this trick to solve matches, to play well in great matches as he is doing now for Everton. “I expect him to grow up, to keep developing in his career.